Tanya was 4 months old when she began to have Eczema that covered her body. Her skin would crack, bleed and get infected. We noticed it would get worse and that the itching progressed when we were outside. Doctors gave us many creams to try and we got no results from them. We heard NAET from a friend and gave it a try. It was really amazing to see her get treated for environmental things such as sunlight, heat, grass, etc. Her skin slowly healed and only a small spot on her thumb brothers her sometimes versus her entire body. Allergies plague most people at one time or another. For some, it is an annoying runny nose. For others, it is the inability to live outside of a special room. For a few, it is sudden death. More UAE residents are undergoing tests to determine their food allergies and intolerances, according to a private clinic. “I see more than 100 patients a month with an allergy or food intolerance symptoms and that number is rising,” said Dr Maria Ridao Alonso, Managing and Medical Director, Dubai Herbal and Treatment Centre. What could cause our immune systems to perform in such an abnormal way? An allergy is a heightened sensitivity to a foreign substance (called an allergen) that causes the body’s defense system (the immune system) to overreact when defending itself. Normally, the immune system would only react if a harmful substance, such as bacteria, attacks the body. For people with allergies, their immune systems are working too hard and react even when relatively harmless substances, such as proteins we are eating, breathing or coming in contact with. The severity of an allergic reaction can vary from mild discomfort to life-threatening situations. Allergens can stimulate an immune response when you breathe in or touch the allergen, or by ingestion of food or beverage, or from injections of medication. Antibodies (also known as immunoglobulins, abbreviated Ig) are gamma globulin proteins that are found in blood or other bodily fluids of vertebrates and are used by the immune system to identify and neutralize foreign objects, such as bacteria and viruses. Antibodies are produced by a kind of white blood cell called a plasma cell. In placental mammals, there are five antibody isotypes known as IgA, IgD, IgE, IgG, and IgM. They are each named with an “Ig” prefix that stands for immunoglobulin, another name for antibody, and differ in their biological properties, functional locations and ability to deal with different antigens. IgA: Found in mucosal areas, such as the gut, respiratory tract and urogenital tract, and prevents colonization by pathogens. Also found in saliva, tears, and breast milk. IgD: Functions mainly as an antigen receptor on B cells that have not been exposed to antigens. It has been shown to activate basophils and mast cells to produce antimicrobial factors. 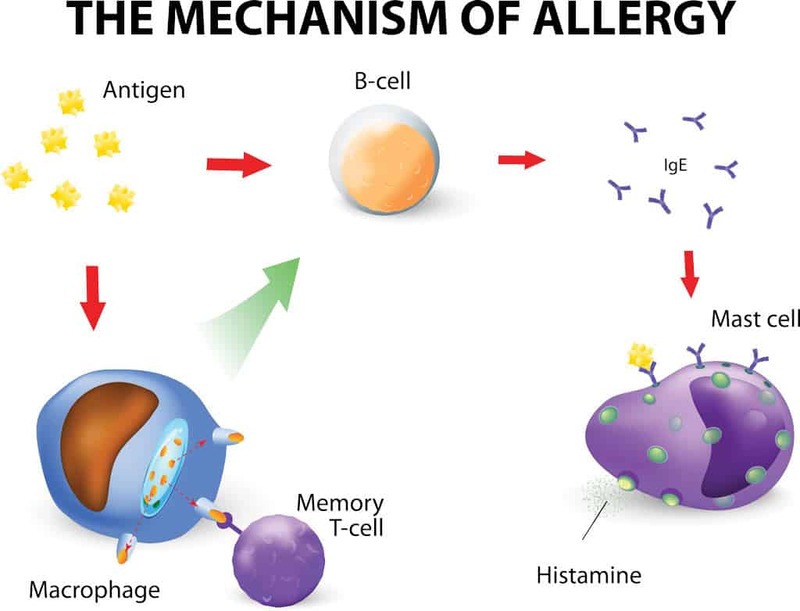 IgE: Binds to allergens and triggers histamine release from mast cells and basophils, and is involved in allergy. Also protects against parasitic worms. IgG: In its four forms, provides the majority of antibody-based immunity against invading pathogens. The only antibody capable of crossing the placenta to give passive immunity to fetus. IgM: Expressed on the surface of B cells and in a secreted form with very high avidity. Eliminates pathogens in the early stages of B cell mediated (humoral) immunity before there is sufficient IgG. Note that IgG and IgE are prominent in allergy. A 2 min video of the Difference between allergies and Intolerance. IgG is involved with food allergies and IgE with inhalation allergy. Traditional medicine focuses on the information given above and uses a variety of drugs like antihistamines, decongestants, and steroids to mitigate the symptoms of allergies. Sometimes avoidance of the allergen and/or “allergy shots” are used to attempt to desensitize patients. The human body is designed so that NO complete protein will be absorbed into the system. The reason is that when the body makes a protein, it knows that it is not an enemy because it made it. However, when a protein that the body did not make is found, it is assumed that it is a foreign invader like a virus, bacteria, fungus, etc. Therefore it makes antibodies against that protein and attacks it with the purpose of destroying it. Food Allergy occurs when the body’s immune system sees a certain food as harmful and reacts by causing symptoms. This is an allergic reaction. 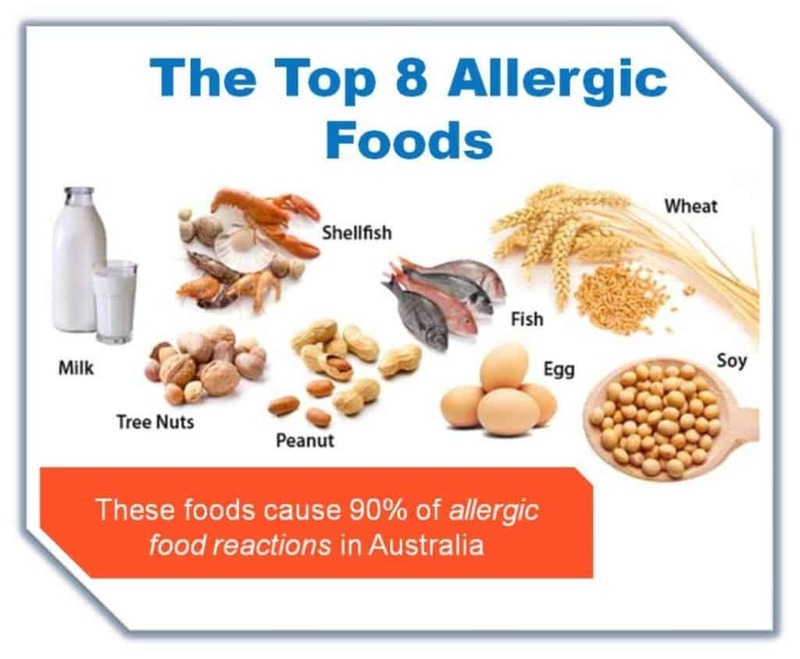 Foods that cause allergic reactions are allergens. Common foods involved include cow’s milk, peanuts, eggs, shellfish, tree nuts, wheat, rice, and fruit. Environmental Allergies, are your body’s response to substances you inhale at your home, school or workplace. They can be caused by dust, pollen, mold and mildew and cigarette smoke. Pet Dander Allergy, a combination of dead skin cells and hair (or feathers), which can trigger asthma attacks and allergic reactions in people who are sensitive to the allergens. Insect Sting typically results in pain, swelling, and redness confined to the sting site. More severe reactions include symptoms appearing over a wider area (for example, swelling of your whole arm if you were stung on your wrist) or affecting other parts of the body from where the sting occurred. Common insects involved include ants, bee, beetle, and mosquito. Chemical Allergy, Common chemicals involved include cleaners, colognes, shampoo, soap, hair dyes, and personal care items. What problems can develop if you don’t treat Allergies? Is an inflammation and obstruction of the bronchial tubes — the passages that allow air to enter and leave the lungs. During an asthma attack, the muscles that surround the bronchial tubes constrict, narrowing the air passages and making it extremely difficult to breathe. Other common symptoms are wheezing and a rattling sound in the chest. Long-term control medications, many people with asthma need to take long-term control medications daily, even when they don’t have symptoms. There are several types of long-term control medications, including the following. Inhaled corticosteroids, Inhalation corticosteroids are cortisone-like medicines. They are used to help prevent the symptoms of asthma. 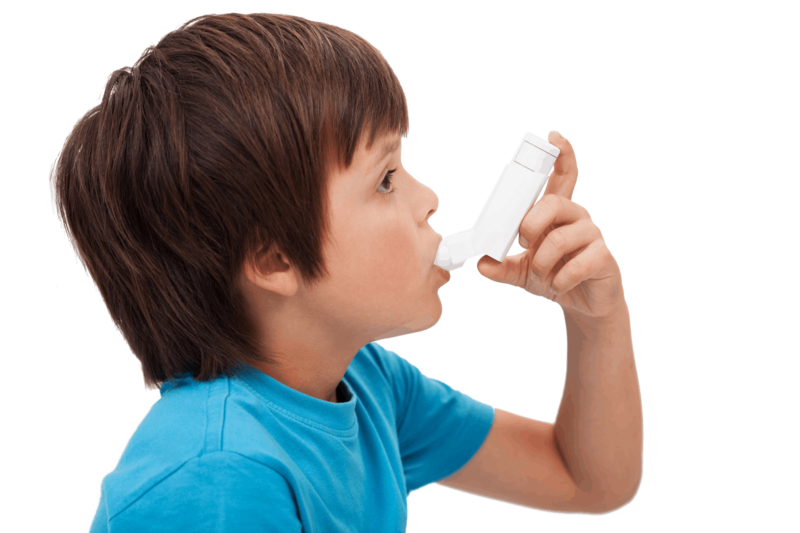 When used regularly every day, inhalation corticosteroids decrease the number and severity of asthma attacks. Leukotriene modifiers are also called leukotriene receptor antagonists. These medicines are used for long-term control and prevention of asthma symptoms. Leukotrienes are substances made by your body that act as a trigger for an asthma attack. Blocking the action of leukotrienes helps prevent these attacks from occurring. These medicines are taken in pill form once every day. Theophylline is used to treat lung diseases such as asthma and COPD (bronchitis, emphysema). It must be used regularly to prevent wheezing and shortness of breath. This medication belongs to a class of drugs known as xanthines. It works in the airways by relaxing muscles, opening breathing passages, and decreasing the lungs’ response to irritants. Controlling symptoms of breathing problems can decrease time lost from work or school. can appear on any location. Some people report that psoriasis is itchy, burns and stings. Topicals, one of the most common approach is topical creams and moisturizer that are prescribed by your doctor after you’ve been diagnosed with psoriasis. a synthetic form of vitamin A. Synthetic retinoids was approved in the U.S. in the 1980s. Soriatane is the only oral retinoid approved by the FDA specifically for treating psoriasis. Isotretinoin, another oral retinoid, is sometimes used instead of Soriatane to treat psoriasis. 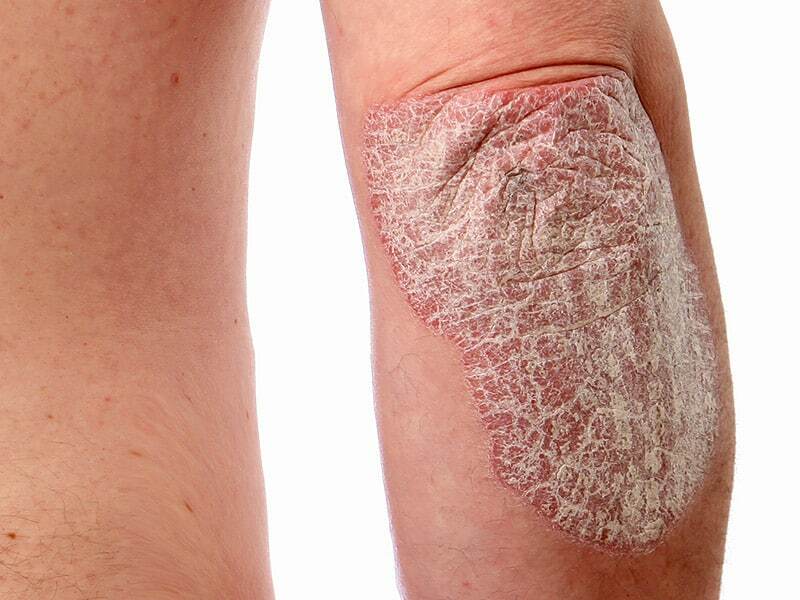 The exact way that Soriatane works to control psoriasis is unknown. In general, retinoids affect how cells regulate their behavior. Retinoids help control the multiplication of cells, including the speed with which skin cells grow and shed, which increases in psoriasis. Salicylic Acid, some doctors recommend salicylic acid ointment, which smoothes the skin by promoting the shedding of psoriatic scales. Using salicylic acid over large areas of skin, however, may cause the body to absorb too much of the medication, leading to side effects. Salicylic acid may also cause skin irritation and weaken hair shafts, which can cause breakage and temporary hair loss. The effectiveness of these preparations are modest at best. Is used to describe nasal inflammation that results in rhinorrhea (colloquially known as “runny nose”), congestion, nasal itch, sneezing, postnasal drainage, and in some patients, ocular symptoms such as watering eyes. These symptoms occur when you breathe in something you are allergic to, such as dust, animal dander, or pollen. Symptoms can also occur when you eat food that you are allergic to. Corticosteroid nasal sprays. If your symptoms aren’t easily controlled by decongestants or antihistamines, your doctor may suggest a nonprescription corticosteroid nasal spray, such as fluticasone (Flonase) or triamcinolone (Nasacort). Prescription-only corticosteroid nasal sprays are also available. Corticosteroid medications help prevent and treat inflammation associated with some types of nonallergic rhinitis. Possible side effects include nasal dryness, nosebleeds, headaches, and throat dryness. Antihistamine nasal sprays. Try a prescription antihistamine spray such as azelastine (Astelin, Astepro) and olopatadine hydrochloride (Patanase). 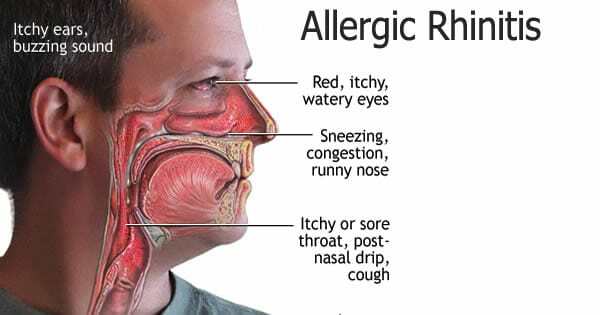 While oral antihistamines don’t seem to help nonallergic rhinitis, nasal sprays containing an antihistamine may reduce symptoms of nonallergic rhinitis. Anti-drip anticholinergic nasal sprays. The prescription drug ipratropium (Atrovent) is often used as an asthma inhaler medication. But it’s now available as a nasal spray and can be helpful if a runny, drippy nose is your main complaint. Side effects may include nosebleeds and drying of the inside of your nose. Oral decongestants. Available over-the-counter or by prescription, examples include pseudoephedrine-containing drugs (Sudafed) and phenylephrine (Afrin, Neo-Synephrine, others). These medications help narrow the blood vessels, reducing congestion in the nose. Possible side effects include high blood pressure, heart pounding (palpitations) and restlessness. Is a genetic type of rash that makes the skin sensitive and extremely dry and rough. It is a general term for any superficial inflammatory process involving the epidermis. 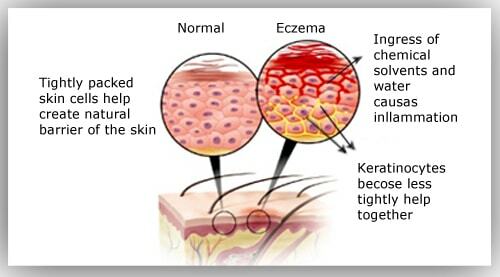 Eczema is a skin condition causing inflammation and intense irritation. On the early stage, it is primarily marked by redness, itching, minute papules, and vesicles, weeping, oozing, and crusting, and later by scaling, lichenification and often pigmentation. Phototherapy can be prescribed to treat mild to moderate dermatitis. It involves exposure to ultraviolet A or B waves, alone or combined, and the skin will be monitored carefully if they are used. 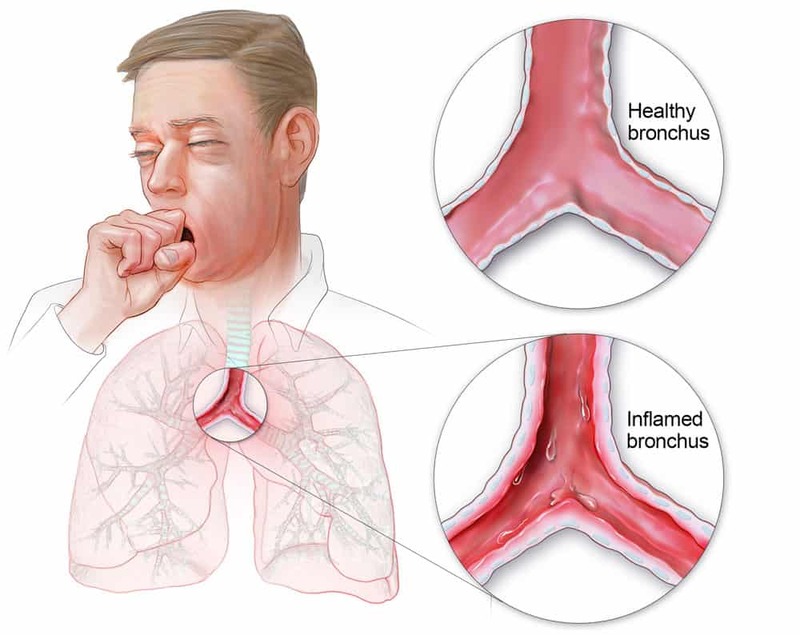 Is an inflammation or swelling of the bronchial tubes (bronchi), the air passages between the nose and the lungs. Antibiotic: Bronchitis usually results from a viral infection, so antibiotics aren’t effective. However, your doctor might prescribe an antibiotic if he or she suspects that you have a bacterial infection. Cough medicine. It’s best not to suppress a cough that brings up mucus because coughing helps remove irritants from your lungs and air passages. If your cough keeps you from sleeping, you might try cough suppressants at bedtime. Other medications. If you have allergies, asthma or chronic obstructive pulmonary disease (COPD), your doctor may recommend an inhaler and other medications to reduce inflammation and open narrowed passages in your lungs. If you have chronic bronchitis, you may benefit from pulmonary rehabilitation — a breathing exercise program in which a respiratory therapist teaches you how to breathe more easily and increase your ability to exercise. What are the symptoms of Intolerance? Do you feel sleepy soon after you eat? Proteins are made up of small units called amino acids. Think of a Lego as an amino acid. The multiple things you can build from Legos are called proteins. When you eat a protein, stomach acid must break the proteins down into amino acids. As the digested food reaches the small intestine, the amino acids are absorbed so the body can make and repair proteins. However, if you don’t have enough stomach acid, whole or partially digested proteins reach the small intestine and are absorbed. The body recognizes these as foreign since it didn’t make them. Thus you become allergic to the foods you normally eat! Now about 20-40 minutes after each meal, your body thinks it is being attacked by a foreign protein and attacks it. Thus it is like having a mini case of the flu after each meal! This is why so many people feel sleepy soon after they eat. They say, “I ate too much and it made me sleepy!” The reality is that their body is attacking the proteins they just ate. deficient in iodine. The amount of iodine in table salt is about 1/1000 of what you need, there is no iodine in sea salt, and our soils are devoid of iodine. About 80% of the population is deficient in zinc. Thus most people have allergies because they can’t make stomach acid! If one of the undigested proteins is used in the formation of a cell, the immune system will still attack it. When you don’t have enough stomach acid, the digestive process in your stomach creates gas bubbles. These bubbles are coated with stomach acid much like soap coats a bubble. The gas bubble causes you to belch or simply rises up into your esophagus where you taste the acid. It bums your esophagus so you feel discomfort or overt pain. This is called GERD or gastro-esophageal reflux disease. 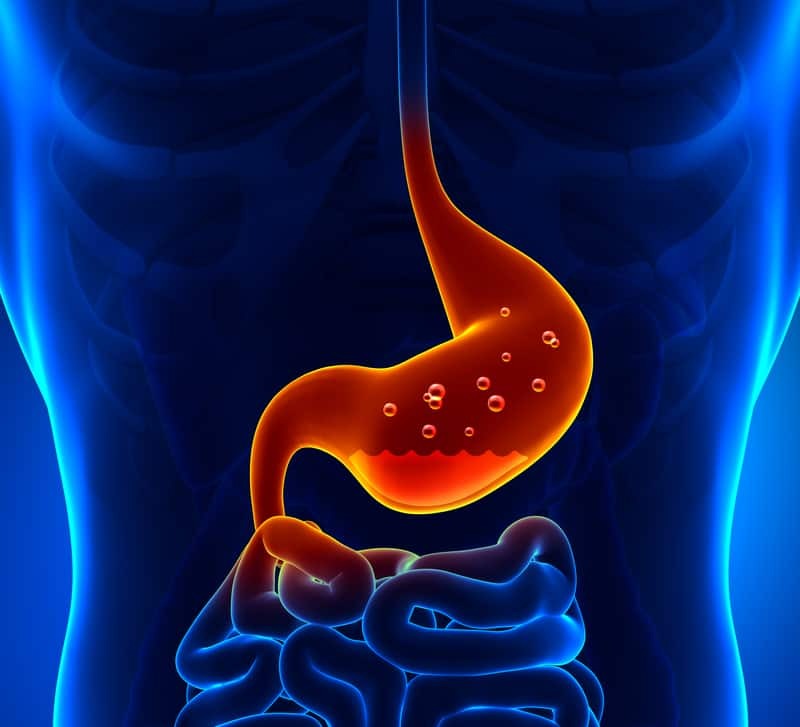 Since it is assumed you have too much stomach acid (and indeed you do have it in the wrong place—the esophagus) you take antacids or drugs that stop acid production. Your GERD stops. However, now you are developing allergies since you can’t digest your proteins! Without stomach acid, you can’t adsorb zinc even if you take it. Thus you will become deficient in zinc when you shut down stomach acid production if you weren’t deficient already. If you take drugs that shut down your stomach acid, you will become depressed because you can’t make serotonin. So now you are a depressed person with allergies and chronic fatigue. Now you start antidepressant drugs. These work temporarily but have been shown to increase the amount and frequency of depression when taken long term. They also diminish your sexual performance/desire. Your spouse gets tired of you and your emotional ups and downs, your runny nose, migraine headaches, explosive diarrhea, and lack of sexual interest/performance. You can figure out the rest. Remember this downward spiral started because of the lack of iodine, zinc, salt and vitamin B 1. The drugs don’t solve the problem—they cover up the problem and create several more problems. When your immune system is constantly in attack mode, it uses a lot of adrenalin. Soon your adrenals wear out. You should assume that if you have allergies, your adrenals are tired and dysfunctional. To feel better, you will be drawn towards CATS = Caffeine, Alcohol, Tobacco, & Sugar. They give you temporary relief, but they place additional demands upon your adrenals. You must avoid them. Skin tests, this type of testing is the most common and is relatively painless. A very small amount of certain allergens is put into your skin by making a small indentation or “prick” on the surface of your skin. Intradermal test, after they look at and clean your skin, the doctor or nurse will inject a small amount of allergen just under your skin. 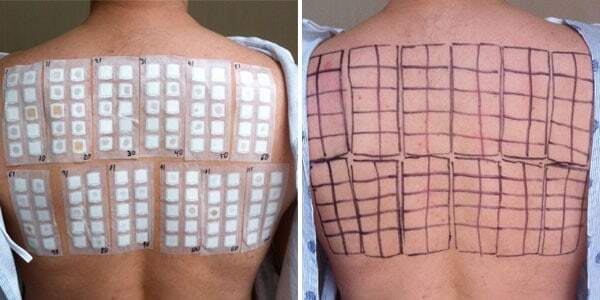 Patch test, your doctor could put an allergen on a patch and then stick that on your arm or back. A very small amount of an allergen is inhaled or taken by mouth. Challenges are done mostly with potential food or medication allergies. It is very important that they are supervised by a physician with specialized training and experience, such as an allergist. The EpiPen is an auto-injector of epinephrine, the first-line treatment for life-threatening allergic reactions. When a life-threatening allergic reaction takes place, the injection of this hormone ought to be injected in the thigh immediately, to treat reactions such as hives, redness of the skin, tightness in the throat, breathing problems and/or a decrease in blood pressure. The EpiPen is only available through hospital pharmacies on prescription in large pharmacy chains.It costs between AED 400-600. Allergic reactions to contacts can be different in each person and may include asthma, eczema, skin rashes, hives, sinusitis, cough, etc. It is apparent that something contacted by the skin can produce symptoms as devastating to the patient as anything ingested or inhaled. Had I not been so desperate, I never would have tried anything as far fetched sounding as NAET® and I would either be dead or still on 4 prophylactic asthma-allergy medications. Even with that I was unable to go anywhere without rescue inhalers & epinephrine (which I used many times a day) and was constantly sick. My first two hospitalizations for pneumonia were when I was under 1 year of age & was in an iron lung. Throughout my childhood, I was plagued with asthma, bronchitis, pneumonia. But it was not until I reached my mid-forties that the worst trouble started: immediate closing of my throat with even minimal contact with molds, perfumes, (certain soaps, shampoos, etc.) or tobacco. I couldn’t consider going to the theater or on public transportation. If air travel was needed, I had to take a gas mask. Constant infections, steroids, etc. took their toll. After NAET® treatments, I can tolerate what would have been life-threatening situations, am off of all of my asthma and allergy medications, am no longer sick all the time, and have much fuller life. My pulmonologist was shocked at the results. He had done breathing tests before treatments and after. He said my lifelong asthma is completely gone and he has never seen anything like this before. I am now finishing the last of my treatments and am extremely grateful. I am shocked that NAET® is not more well-known and accepted. NAET® is a miracle. Hi, thank you for visiting our site. We are looking forward to hearing from you on our next blogs. Please don’t forget to subscribe to our blog and you will receive mails once we published new blogs. Feel free to contact us if you need any further information. Hi, thank you for your comment. Appreciated it very much. And also don’t forget to subscribe to our blogs and feel free to contact us if you need any further information. Hi. Thank you for your support and positive comment. Please don’t forget to subscribe to our blogs. Feel free to contact us if you need any further information. Hi, thank you for visiting our sites. Appreciated it very much. We are looking forward to hearing from you on our next blogs. Feel free to contact us if you need any further information. Thank you for your comment. We are glad to be of service. We are looking forward to hearing from you on our next blogs. Please don’t forget to subscribe to our blog and you will receive mails once we published new blogs. Feel free to contact us if you need any further information. Your site has a lot of information connected with the allergy and a lot of extra information. I just want to tell you that I am very new to blogs and definitely savored this blog site. Most likely I’m planning to bookmark your website . You definitely come with impressive articles and reviews. Bless you for sharing your website. Thank you 🙂 Please don’t forget to subscribe to our blog and you will receive mails once we published new blogs. Feel free to contact us if you need any further information. Cheers! I am really interested in it and that is great to have the information I need. Hi Jim, thank you for including us in your blogroll 🙂 . We are looking forward to hearing from you on our next blogs. Please don’t forget to subscribe to our blog and you will receive mails once we published new blogs. I’m still learning from you, while I’m trying to achieve my goals. I absolutely liked reading all that is posted on your site.Keep the aarticles coming. I liked it! Hi Millard, that is an awesome comment! we had to wade through a lot of information to complete that article. Please don’t forget to subscribe to our blog and you will receive mails once we published new blogs. Feel free to contact us if you need any further information. ???? My brother suggested I might like thyis webb site. He wass entirely right. This publish actually made my day. Thank you for your comment.Please dont forget to subscribe to our blogs for any further details please contact us.